Vienna’s urban sophistication and verve are a world away from Salzburg’s stately Italianate baroque architecture, with its squares and palaces and domes. It’s vaguely Vatican in feeling, as befits a former papal state. But this UNESCO World Heritage Site is a city that seems pleasantly cosmopolitan and bucolic at once — a rare combination. It has one of Europe’s most chic rooftop bars and the most star-studded classical music festival on the continent. 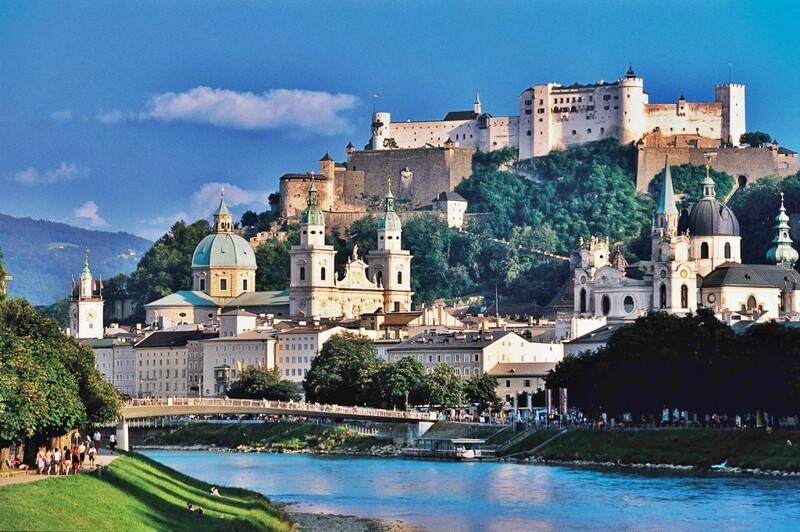 Salzburg lies on either side of the rushing Salzach River, whose grassy banks are often adorned with sunbathing music students. there to absorb the rays and the vibes of this city of Mozart. But raise your eyes and there are green hills surrounding this bastion of classical music. So take an afternoon to go hiking. Nature and culture are rarely this intertwined. Housed since 2007 in the Neue Residenz — the “New Residential Palace” — on Mozartplatz, the museum has a fine collection of historic paintings that bring Salzburg to life. But the real treat is on the roof of this imposing structure, where you’ll find the Salzburg Glockenspiel, a carillon dating from 1704. 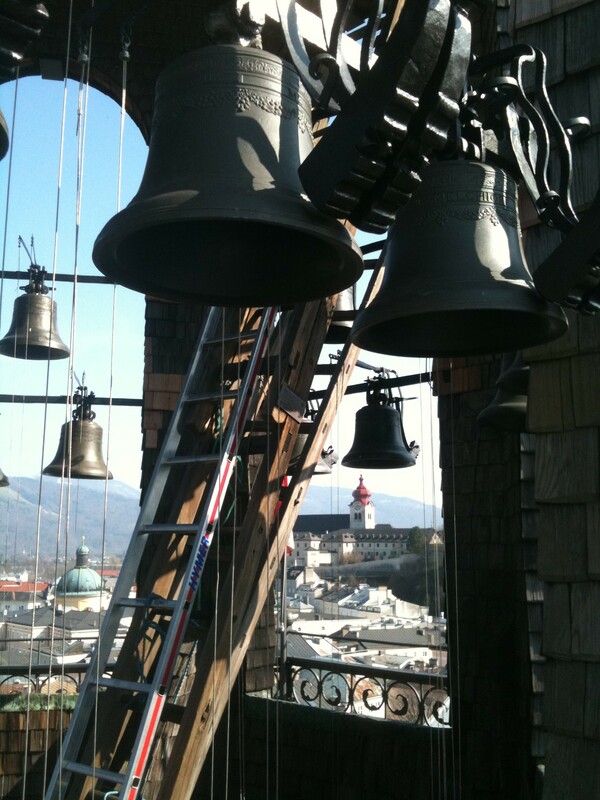 Made from giant handmade cogs, wheels and bells, it rings out daily and can be heard throughout the city. You can take a guided tour of the carillon tower, which requires many flights of winding stairs and offers an 18th-century bird’s-eye view of the city. An hour’s bus ride (slightly longer by train) gets you from Salzburg to Hallstatt, in the heart of the Austrian lake district. The village, a UNESCO World Cultural Heritage Site, is surrounded by stunning lakes and mountains, and is the ideal starting place for easy hikes into the mountains. Founded by Max Reinhardt, Hugo von Hoffmannsthal and Richard Strauss in 1920, the Salzburg Festival — from July 20 to Sept. 2 — is arguably Europe’s best classical event, encompassing eight weeks of concerts, operas and theater performances throughout the city. This year, expect to see Claudio Abbado, Murray Perahia and Krystian Zimerman, among others. Some might call it cornball, while others see it as reverential and possibly the highlight of a trip to Austria. Panorama Tours offers the classic four-hour “Sound of Music” tour that goes where the film was actually shot, including Mirabell Gardens (“Do-Re-Mi”) and Nonnberg Abbey. 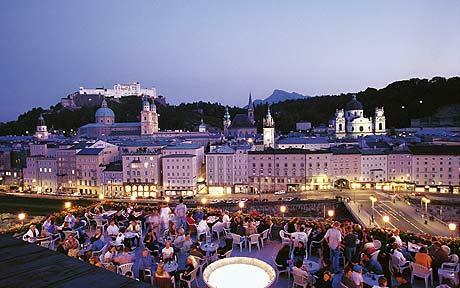 This has to be one of the most inspiring views from any rooftop bar in the world: a panorama that includes baroque architecture, the streets of Salzburg and — across the Salzach River — the imposing Hohensalzburg Castle, with the famed green hills serving as a backdrop for it all. Whether you’re ordering a glass of grüner veltliner or something stronger, any drink almost seems like an afterthought. Tucked away on a narrow, meandering back street of Steingasse, well away from the tourist throng, this is where young, fashion-conscious residents come to preen, sip cocktails and dine under the vaulted stone ceiling. 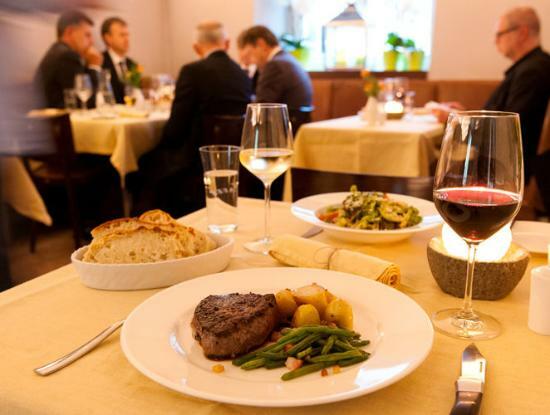 The restaurant is known for steak, and with just 25 seats, reservations are essential. 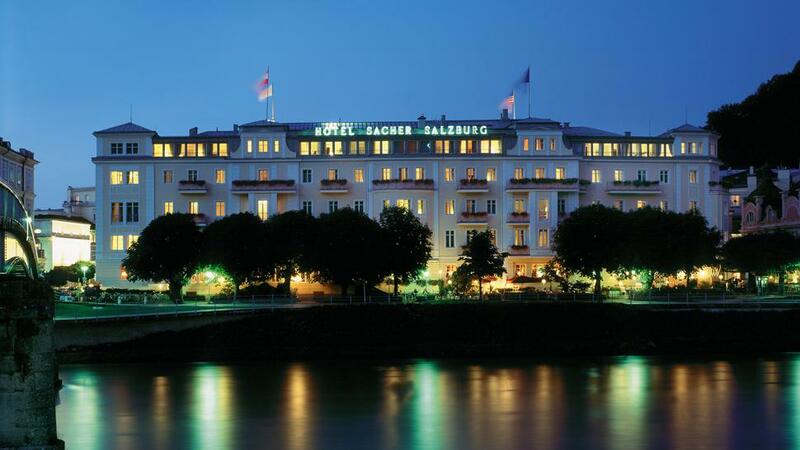 A river view room at the Sacher Hotel (rooms from $425) ranks as one of the more sublime European hotel experiences. The rooms are elegant, plush and delightfully old-fashioned. And better yet, the original Sacher torte, an Austrian chocolate cake, is readily available, riverside, at Café Sacher. Now you’ve made me lonely for Salzburg! Love this city but can’t believe I didn’t climb up to the Glockenspiel. I recommend the Sound of Music tour. 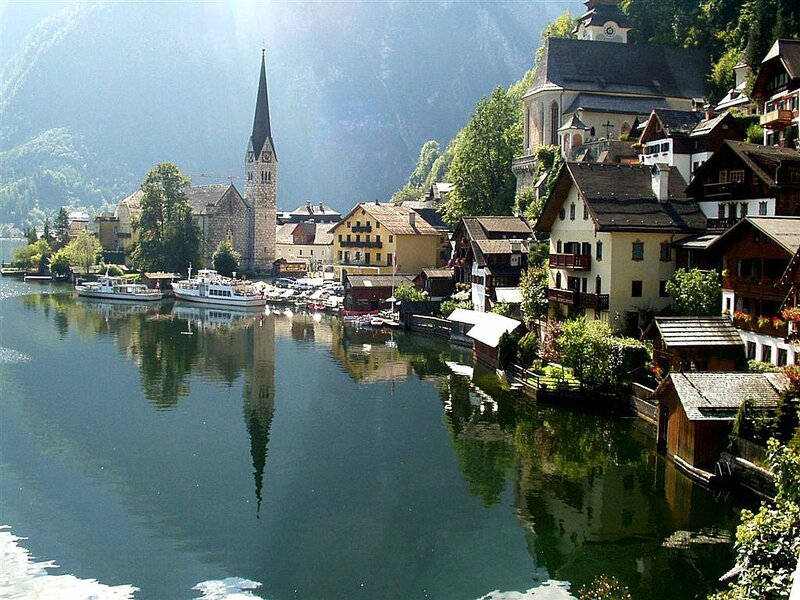 Hallstatt has been on my list for way too long and next time I’m there I’ll beeline it to the terrace at Stein Hotel. I can also recommend an afternoon at the Augusteiner Brauerei! The Wichita State University orchestra went to Vienna in Aug. 1987 to play at the first world choral symposium to premiere a choral work by a Viennese composer, Schedl. The group also played a Bruckner Mass at St. Stephen’s Cathedral with the Vienna Boys Choir. The last performance was in Salzburg playing Mozart’s Coronation Mass at the Salzburg Cathedral on Sunday morning accompanying the St. Laszlo Choir from Budapest. 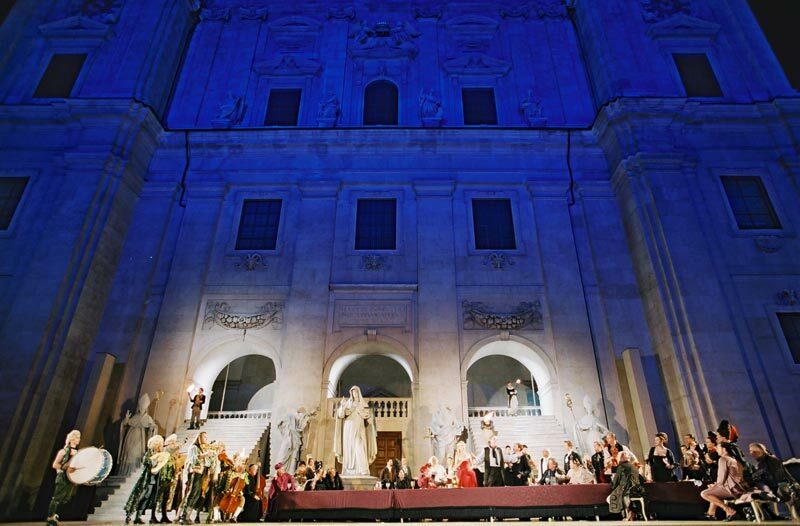 We were there during the Salzburg Festival. One lucky member was given 2 tickets to hear Jesse Norman in concert. It was an unforgettable trip. I played harp, so after the Vienna concert, I was just a happy tourist with no further responsibilities. My friend, Janice, and I left the group and went to Amsterdam by way of Bruges to stay in Leigh’s apartment one last time. She had already come home.